The all-new waterproof Kindle Paperwhite drops to lowest price to date at Amazon, deal ends today! Deal alert! Amazon is offering its Kindle Paperwhite e-reader at some great prices today. You can grab the 8GB Wi-Fi only model of the gadget (includes special offers) at 31% off, which is the largest discount we've seen to date. However, keep in mind that the deal ends today, so it's advisable to act fast if you're interested. Amazon's sale isn't just for the entry-level version of the Paperwhite. You can save a good amount of money even if you choose to get more storage, cellular connectivity, or remove the special offers. There are even discounts on Paperwhite bundles. If you'd like to see every deal in one place, feel free to follow this link. 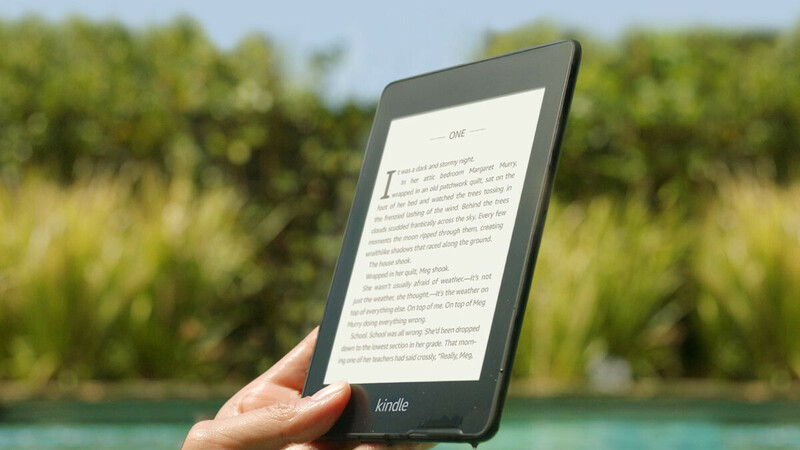 This latest Kindle Paperwhite is the most compact and lightweight model of the series. It sports a 300 ppi display that is glare-free. It's waterproof, meaning that you can take it to the beach or in the bath without having to worry. The battery lasts weeks between charges, and there's a built-in adjustable light that's perfect for night reading. Other notable features include Audible and the addition of Bookerly - a special font created by Amazon for reading on a digital screen.